We’re all guilty of the same thing around this time of year. We have a motivating start to January with a plan to attack our New Year’s resolution list with the very best of intentions. We tell ourselves that this is the year we will keep our resolutions…and we get super into it. If your resolution is to eat healthy, you buy all the produce the grocery store carries, you pin all the healthy recipes and you plan your meal prep day. Things go really well for about a month and then suddenly– you’re over it. If your resolution was to be more patient with your children, you start reading all the Love and Logic books and articles, you remind yourself to breathe everytime one of your children cries because you can’t control the weather or they can’t have the 18th snack they’ve asked for that day. And then you lose it. It’s too much, you can’t take it and your newfound patience is gone. Sounds all too familiar, right? Happens to me every year! This year will be different. Here are a few tips to help you stay on top of your New Year’s Resolution list this year. Have benchmarks that keep you on track throughout the year. Let’s say your goal is to run a half marathon before the end of the year, try setting monthly distance goals, so that you are staying on track to make it to half marathon distance. If you are trying to be more involved at your kids school, start by attending monthly PTA meetings or emailing your child’s teacher about volunteer opportunities. Or, if you’re aiming to lose 20 pounds, set a monthly goal of 2 pounds. Weigh in weekly to keep yourself on track. That way you’re not trying to lose 20 pounds from Thanksgiving to New Years. Make yourself a visual. Whether it just be a post it note on your desk at work, or a calendar where you put a checkmark on everyday you made it to the gym, or a jar containing a marble for every pound you want to lose, with an empty jar to place the pounds lost marbles in. Whatever will serve as a reminder everyday of what you are working toward. Treat yourself for sticking to the plan. Maybe if you make it to 5 pounds lost or 7 miles run, you buy yourself a new pair of workout pants or a fun new top or water bottle. If you remain patient with your kids for a couple months, you treat yourself to a manicure or a bottle of wine. Whatever motivates you. Change is hard and you need a reason to keep it up besides some tired promise you made to yourself at the beginning of the year. Enlist an accountability buddy. Another mom friend who is more patient than you, or maybe less patient to make you feel better, whatever works. A friend at the gym who will shoot you a text if you miss a class. A friend who already volunteers at school and can tell you about opportunities for you to do the same. 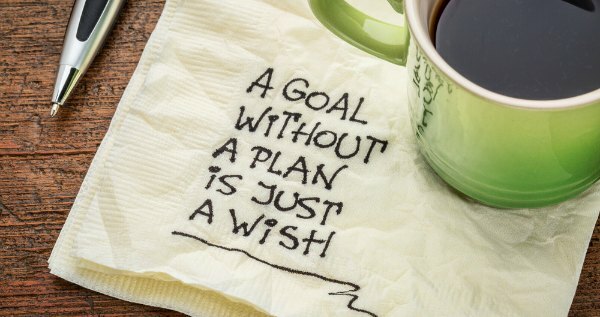 Adjust your goals if you need to. Sometimes a goal is harder than we thought it was going to be, or in the case of fitness goals, our body just doesn’t want to cooperate. Like me, if your knee won’t allow you to run that half marathon distance, adjust your goal to a 10k. If being patient with your kids all the time is just not happening, make a goal of not raising your voice at least 3 days a week. When you are doing everything right but the scale is just not cooperating, change the way you measure your success and either start measuring inches or judging by the way your clothes fit instead. Happy Resolution Getting! We’ve got this! Next story Hosting Summer Camps or Programs? Let KC Parents Know About Your Activities!